The second act of Walküre is the axis about which the whole Ring turns, and I’ll restrict my remarks mainly to that part. 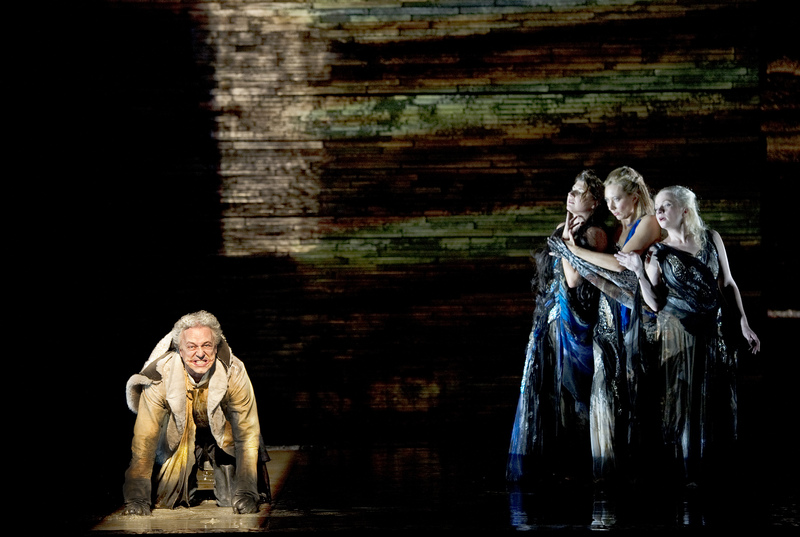 In the first Ring opera, Rheingold, Wotan is persuaded to give up the mighty ring that he stole from Alberich. This is when the earth goddess Erda appears from the depths warning him to Flieh’ des Ringes Fluch! (Flee the curse of the ring). Now his own wife, Fricka appears demanding he rescind his support for Siegmund who has broken the bonds of matrimony by taking Sieglinde from her loveless marriage. 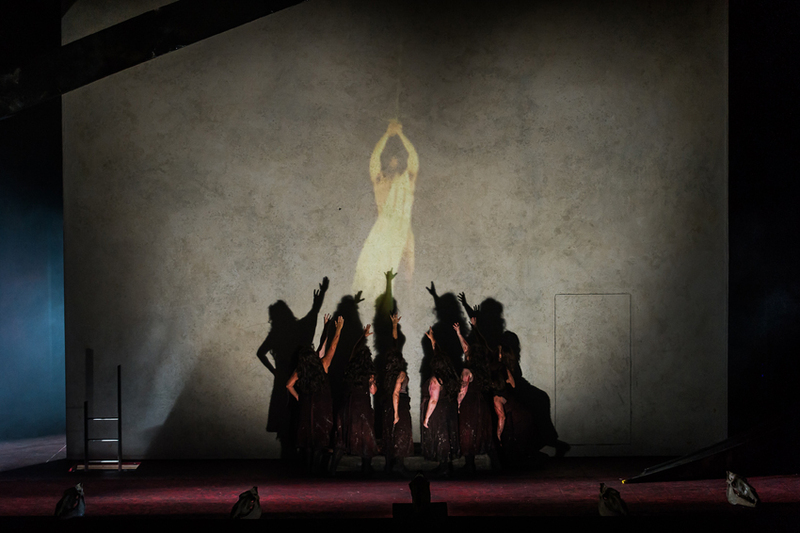 So often this comes over as a petulant moment, but Stephanie Blythe as Fricka exhibits a powerful presence, and in Robert Lepage’s brilliant production she rises from behind the stage set and, like Erda, compels Wotan to change his mind. The dialogue between her and Bryn Terfel as Wotan is superbly done, and as she demolishes his claims that Siegmund is a free agent, he is aghast. Yet Blythe manages not simply to demand, but cajole, becoming emotional and shedding tears. As she does so, Terfel’s Was verlangst du? (What do you ask/desire?) came through with heartfelt anguish, and by the time he sings Nimm den Eid! (Take my oath) he is utterly defeated. He then countermands his orders to Brünnhilde, who will later tell Siegmund of his fate. 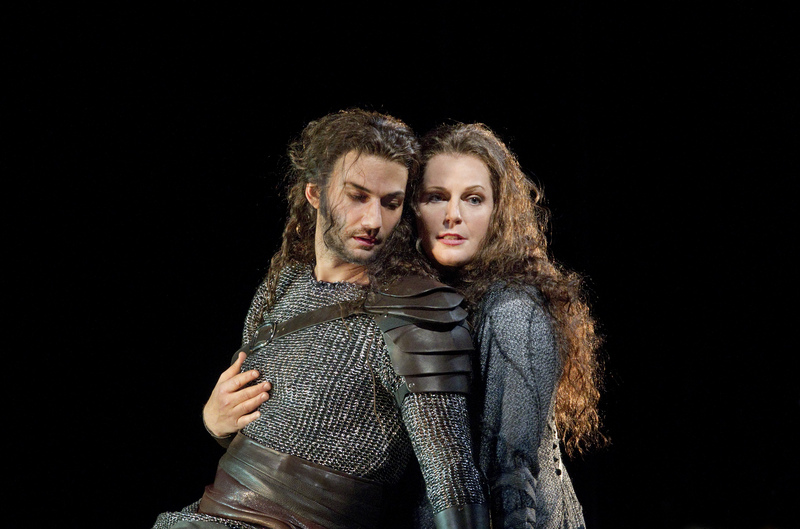 In scene 3 of Act II we find Siegmund and Sieglinde, superbly portrayed by Jonas Kaufmann and Eva-Maria Westbroek, as they reappear following their magnificent love scene in Act I. 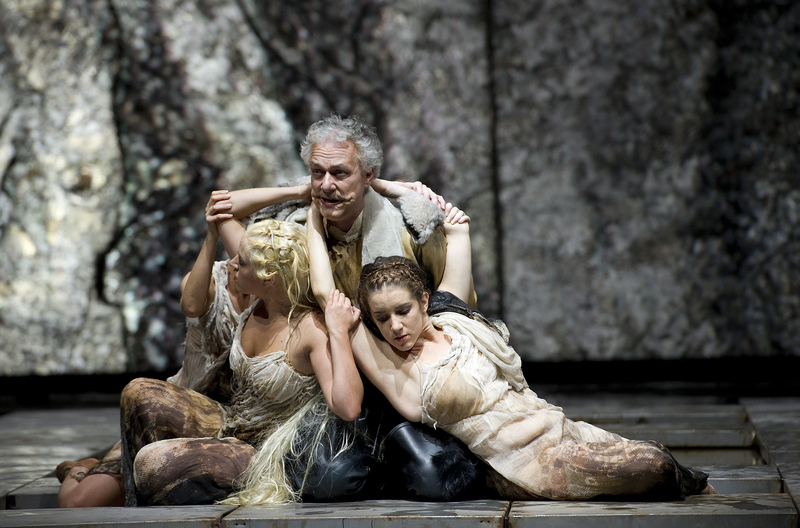 They showed wonderful chemistry together and after she falls asleep, and Brünnhilde appears to Siegmund alone, Kaufmann gave a riveting portrayal of his determination not to be defeated by Hunding, nor be a victim to Wotan’s change of heart. He showed immense nobility as he responded to Brünnhilde with So grüsse mir Walhall (Then greet Valhalla for me), and when he realises his fate is to die in battle, and tries to bring down the sword to kill both himself and Sieglinde, it is only Brünnhilde’s shield that stops him. This is a second turning point in Act II. 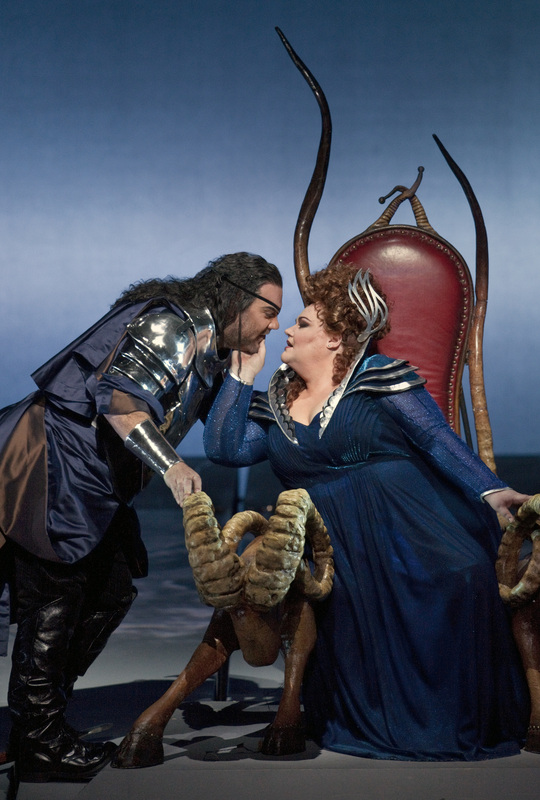 If Brünnhilde had obeyed Wotan then the lovers would die and the gods would live on while Fafner continues guarding the ring. But it is not to be. 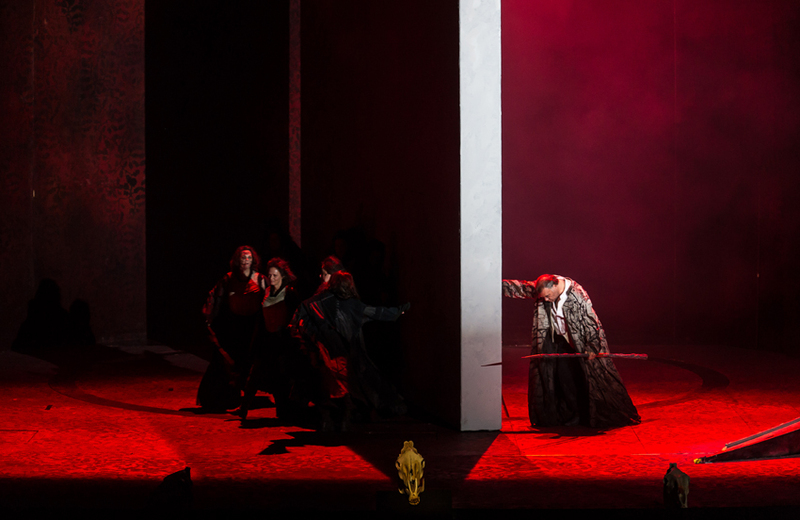 Siegmund’s love has moved Brünnhilde to disobey Wotan, allowing Sieglinde to escape after the battle with Hunding, and as Siegmund lies mortally wounded she is spirited away. Wotan’s anguish was palpable as he cradles his own son, the dying Siegmund in his arms. 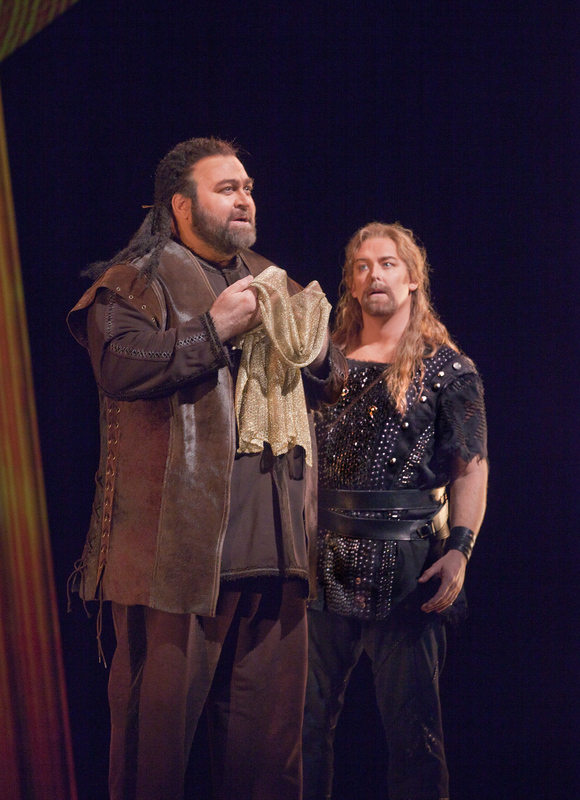 Terfel is remarkable, brilliant, outstanding in his portrayal of Wotan. As he sweeps his arm sideways to dismiss Hunding, his emphasis is on the second Geh! Here is a god whose anger and frustration will lead eventually to the twilight of the gods. 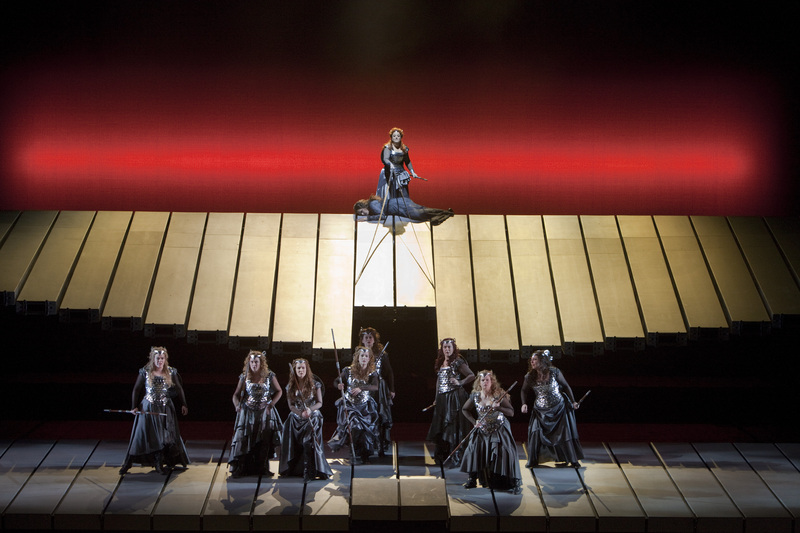 In Act III the Valkyries tremble before Wotan’s arrival, declining to help Sieglinde. Brünnhilde then takes charge, deciding to send her to the East with the shards of Siegmund’s sword, and naming her unborn baby, Siegfried. 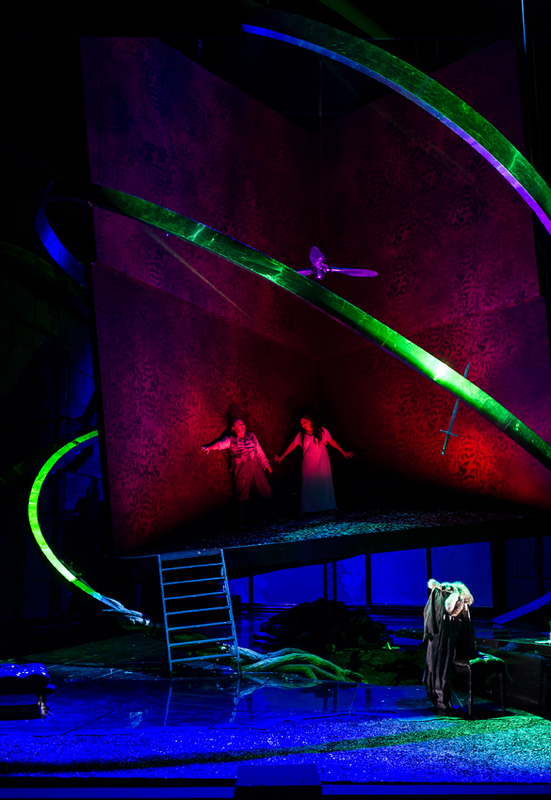 Eva-Maria Westbroek then launched into Sieglinde’s O hehrstes Wunder! (Oh, most sublime miracle) as if it were the high point of the entire ring, and for her it was. We do not see her again. Yet although I may praise the singers for bringing out these high points to perfection, it was only through James Levine’s sensitive and powerful conducting that all this was possible. He brought huge emotion from the orchestra, building up to the great moments so that they came on the audience with enormous force. Levine’s conducting of the so-called Ride of the Valkyries was done without any of the bombast that sometimes spoils this orchestral prelude to the third act. 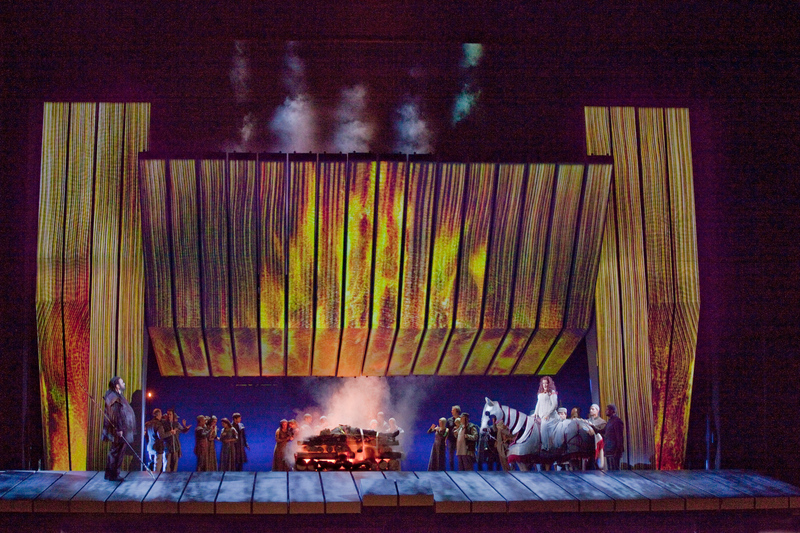 His sensitive support of the singers, along with the staging in which the Valkyries could sing front-stage made the first two scenes of Act III come over beautifully. 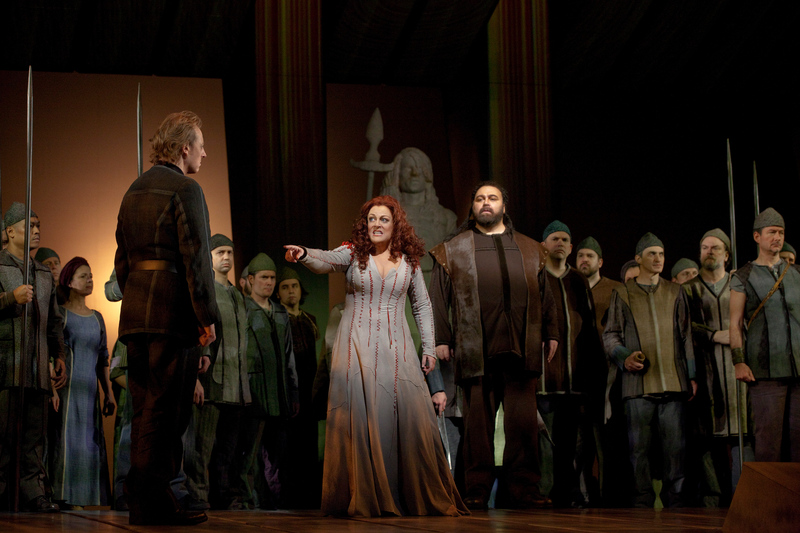 The rather thankless role of Hunding in Act I, and briefly in Act II, was strongly sung by Hans-Peter König, and the entire cast sang superbly, including Deborah Voigt as Brünnhilde, though her facial expressions did not always suit the emotions she was expressing in the music. 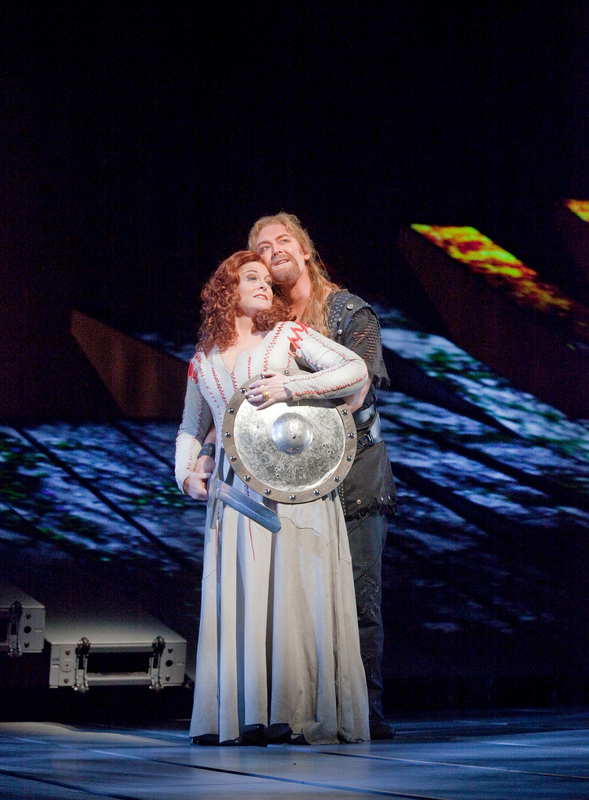 She was such a wonderful Isolde for the Met in 2008, but she is singing Brünnhilde for the first time, and I’m sure she will bring more depth to the role in the last two operas of the Ring next year. This new Ring is already showing a unified sense to the staging, as the Valkyries and Rheinmaidens both appear at the top of a slanting set, and I look forward to Siegfried in November, and Götterdämmerung next February.